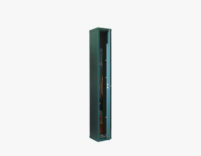 The single-piece SP 3 | 150 armored cabinets with single leaf are built in a single body and are produced following the know-how and the technical and constructive experience gained over the years. 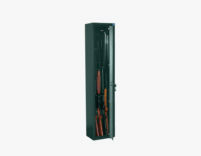 Inside, the cabinet can be set up with: gun rack, fur bar and treasure. Structure in 2 mm thick sheet steel. 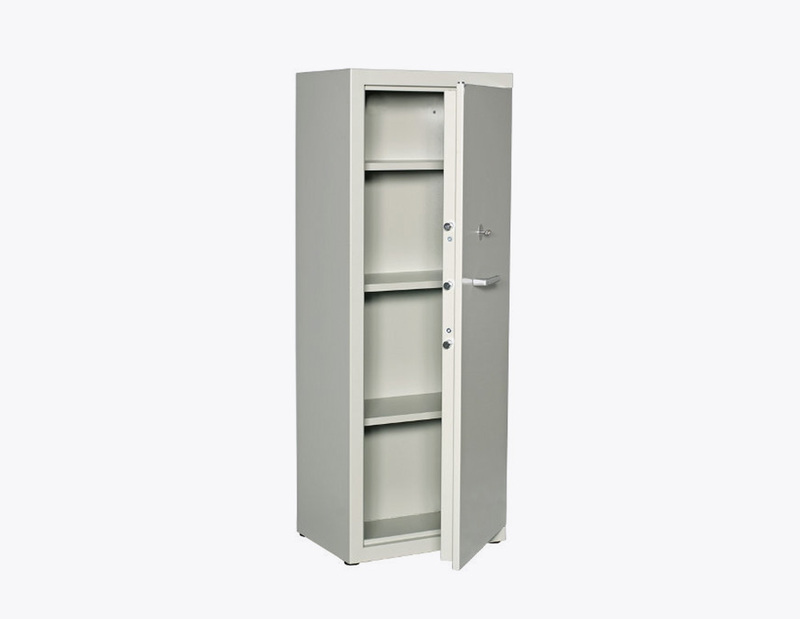 Boxed doors with internal hinge and tear-proof edge, 180 ° opening. 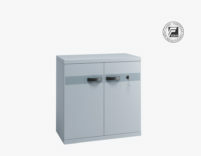 Closing with rack with three expansions controlled by a handle that operates 3 horizontal bolts, 1 lower and 2 upper diam. 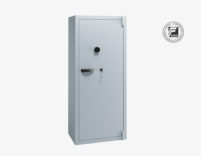 22, protected by a manganese steel plate. 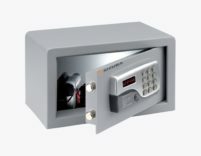 Double-bit safety lock (EN 1300 class A certified), protected with manganese steel plate + possible mechanical or electronic combination. Ral 7032 color in peel finish. Monobloc armored cabinet with EN 14450 certification with safety class S1. 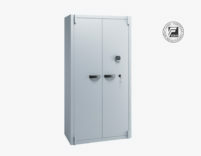 The SM 140-65 monoblock armored cabinets are manufactured in a single body, guaranteeing extremely high levels of safety, certified according to European standards.